A fish-borne toxin that causes “paradoxical temperature reversal” and other strange symptoms has started to spread. When 60-year-old Vicki Atwood, from Stuart, Florida, woke up at 1:30 a.m. one morning last September with vomiting and diarrhea, she drew a logical conclusion: food poisoning. But a few days later, stomach problems gave way to itching unlike anything she had ever experienced. Vicki’s husband, Cliff, desperate for answers, took to the internet. After hours of sleuthing, he honed in on ciguatera fish poisoning, an illness little-known outside the tropics that is poised to become an increasing threat throughout the world. Ciguatera originates on coral reefs, where toxins produced by a group of dinoflagellate species are concentrated as they pass through the food chain, from small, herbivorous fish on up. 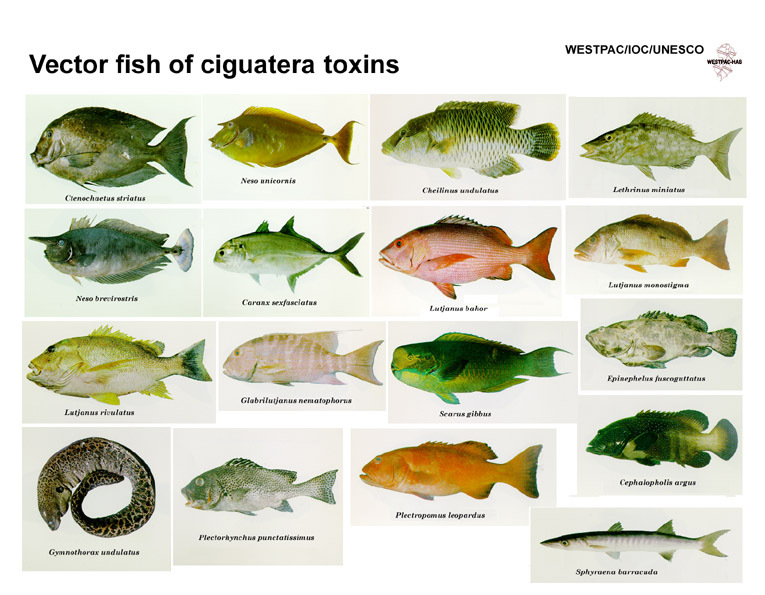 Fish can’t metabolize the toxins, called ciguatoxins, explains Glenn Morris at the University of Florida’s Emerging Pathogens Institute, so they become highly concentrated in the tissues of predatory reef fish. And these fish, which include tasty snapper and grouper, are often consumed by the species at the very top of this food chain: humans. And that’s a problem because while ciguatoxins don’t affect fish health, at least 73 percent of people who consume contaminated fish get sick. Ciguatera is rarely fatal but notoriously unpredictable—most people recover in months, but some suffer for years. Gastrointestinal symptoms usually hit first, along with low blood pressure, and a slowed heart rate. Then come longer-lasting and bizarre neurological symptoms like numbness, tingling, itching, burning, and aching. What little we know about ciguatoxins suggests they interfere with sodium channels in nerve cells, prompting nerves to fire irregularly. The trademark symptom? Paradoxical temperature reversal, where hot surfaces feel cold, and vice versa. There is no lab test to diagnose ciguatera, and no treatment other than managing symptoms. Detection on the reef is tricky, too. There’s no way to determine whether ciguatoxins are present in a fish since they are colorless and odorless. And freezing or cooking doesn’t destroy them either. The only prevention is avoidance, but that relies heavily on local knowledge. Our global seafood economy means ciguatera is no longer confined to tropical locales. Estimates for annual cases worldwide range from 10,000 to 50,000, and Elizabeth Radke, an epidemiologist at the University of Florida’s Emerging Pathogens Institute, says the number could be as high as 500,000. Over the past decade, cases all over the globe have originated from tropical fish shipped to restaurants and exotic fish markets. Ciguatera has popped up in North Carolina, New York, and even landlocked Missouri. A 2009 outbreak in Canada was linked to frozen leatherjacket from China, and in 2012, cases in six German cities were caused by imported red snapper. As consumers, we rarely know where our fish was caught since there is no system to trace it from boat to table, and fish are often mislabeled—in the United States a staggering 33 percent of the time—so we often don’t even know what we’re eating. Factor in underreporting, and ciguatera basically becomes impossible to avoid or track. Radke says that few people outside the tropics know about ciguatera, which leads to significant underreporting. Her own research indicates that in Florida there are 28 times more cases than are reported. Many people with ciguatera don’t see a doctor, and those who do are often incorrectly diagnosed with food poisoning, or encounter doctors hesitant to diagnose it without an objective test. Yet now, more than ever, we need to understand the dynamics of this illness. A 2015 study suggests that as ocean temperatures rise, ciguatera-causing algae species will shift their ranges into previously unaffected areas such as the northern Gulf of Mexico and the US southeast Atlantic coast. Increased incidence of ciguatera will follow. Radke points out that Florida is positioned to reveal this shift, but only if surveillance improves. Increased monitoring and education might have prevented Atwood’s run-in with a toxic Florida fish, but before she was stricken she’d never heard of the disease. It took three months before she finally felt strong enough to leave the house, and another three to get back to normal. It was a half-year of relentless symptoms and constant uncertainty. 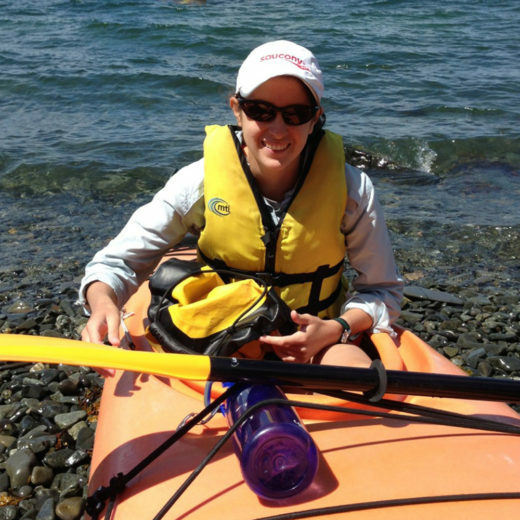 Catherine Caruso is a freelance science writer based in Somerville, Massachusetts, who has written for various publications including MIT Technology Review and NOVA Next. She has a master’s in science writing from the Massachusetts Institute of Technology and a master’s in zoology from the University of New Hampshire, where she spent three years raising summer flounder. Cite this Article: Catherine Curro Caruso “A Mysterious Illness Is on the Move,” Hakai Magazine, Sep 8, 2016, accessed April 26th, 2019, https://www.hakaimagazine.com/news/mysterious-illness-move/.